Chair, the developers behind the hugely popular Infinity Blade, have released a two-minute trailer showing off the game’s sequel, Infinity Blade 2. Set to be released on December 1st, Infinity Blade 2 is set to feature eye-popping visuals, just as its predecessor did. Now though, with the power of Apple’s A5 chip in both the iPad 2 and iPhone 4S, Chair is able to create even more lifelike and visually impressive game worlds. Infinity Blade 2 will be a universal app, meaning buyers will only have to spend $6.99 and receive both iPhone and iPad versions of the hotly anticipated game. A sweet deal no matter which way you cut it. The video also features the insights of two of the game’s leading artists. Inside the video we also see some of the visuals we’re all looking forward to seeing running real-time on our own iPhones and iPads. Creative Director, Donald Mustard Artistic Director Adam Ford and Technical Director Geremy Mustard go inside the Infinity Blade 2 visuals. As promotion for the upcoming title, Chair has placed the original Infinity Blade game on sale for a limited time, making the title just $2.99, down from the usual price of $5.99. While it seems almost all iOS gamers already have the game in their collections, it is a bargain for those perhaps new to the iOS platform, possibly thanks to the release of the iPhone 4S. 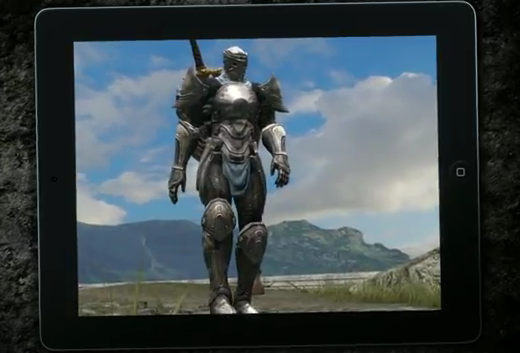 Infinity Blade takes players through a fantasy world, battling various enemies along the way. While exploration may not be one of the game’s strongpoints, many RPG fans still took to the game, if only because of the story and those impressive visuals, and did we mention impressive visuals? With the release of Infinity Blade 2 next week, Chair is almost guaranteed to sit atop the paid-for app charts once again – a spot Infinity Blade also made its own. We’ll be downloading our copies as soon as Infinity Blade 2 goes on sale on December 1st, and we suggest you do to! Therefore, mark your calendars already, don’t blame us saying that we didn’t tell you.